In Part 3 of this series on the economics of remote communities, we discussed how personal motivation must be harnessed to challenge welfare dependency and drive locally controlled economic growth. But how is such motivation harnessed and supported? Passion and motivation die hard. 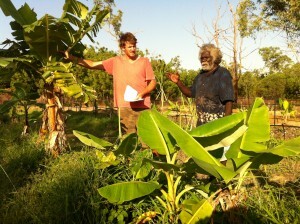 We came to Galiwin’ku to support motivated individuals and groups 18 months ago. In that time, more than 18 different people and groups have engaged with us in enterprises they are actively developing, based on their own internal motivation and effort. This is despite 30-40 years of crisis, demoralisation and welfare disincentives in their community. But without support, people give up. Motivated individuals must be supported to overcome all the barriers involved in participating in the economy and running an enterprise. They need help to find resources, supplies and the practical things that come with managing money, staff and analysing business decisions etc. This is not much different to the needs of mainstream entrepreneurs. However, for many remote Aboriginal people, support must also include learning the “white man’s” rules about how to start and run a corporate structure, eg. understanding the taxation system and the function of a corporation. They also need help overcoming cultural barriers. As many remote locals have English as a second language, they cannot communicate well with the mainstream and don’t know where to start to find even basic information about their needs. Without support in these areas, they find themselves in the dark and isolated, unable to succeed and not knowing why. This turns motivation into depression and other mental disorders. Motivation cannot be created by outside influence. Real, empowering education gives people the ability to find their vision, but passion is birthed within the person by their own soul. No one can insert it. This makes it a valuable commodity indeed. So when and within whom it blossoms it must be supported. 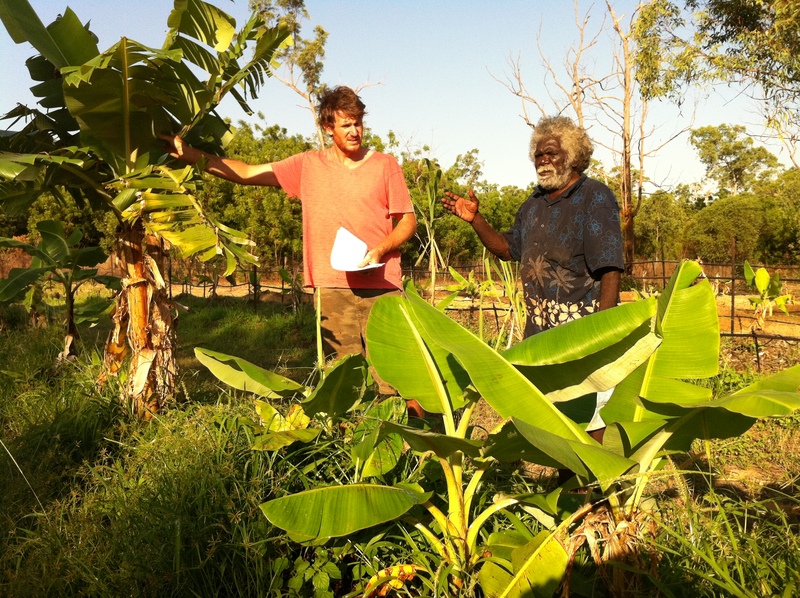 Surprisingly, in 2008 we found that very few (almost no) services existed to provide such support to economic visionaries in Arnhem Land remote Aboriginal communities. Programs were designed to help write business plans, and get loans or even small business grants, but mostly there was nothing designed to give no-strings-attached help to the everyday learning, information and resourcing needs of Indigenous people with big ideas. This support to local visionaries is the second key to successful and sustainable economic development, because it enables those with the passion and internal motivation to overcome barriers to create new productive nodes in the local economy. Let’s look at an example. One of our clients many years ago was sucessfully running a lush tropical market garden, using treated effluent from the local sewage farm. The effluent was being pumped onto his land, but he did not know that he could not use it under Balanda (Australian) law without a special license. His access was shut off. At this point no one offered to help him get the right licenses or teach him how to use the water safely. Even while the local community garden in town failed time and time again, no one asked how can we provide long term help to allow this visionary to maintain his once flourishing garden. He got help here and there, but when he came to us shortly after we started the AHED project in his community, he was successfully growing sugar cane, but his bananas were still failing for lack of nutrients. He was also an old man now so he needed workers to help in the garden. Thus supporting his motivation meant finding and importing a sugar cane juicer he could afford, helping him learn to run a market stall for his juice, bringing in expert advice on how to get nutrients with his low income, looking into the law on sewage reuse and working towards a reuse license, helping him find strategies to save for vehicles and equipment, and helping him find and motivate a workforce. Despite some set backs his garden is gradually improving without the nutrients from the effluent and we are working toward him getting his license. Despite his age and the barriers he has faced his motivation and activity in his enterprise has increased. Supporting visionaries in their passion unfortunately is not as simple as diving in and helping everyone with anything they want. If the support person ends up running around doing everything for the visionary, this is not empowerment, but rather, leads back to an unhealthy dependency and can undermine a person’s drive. The visionary will likely creep into laziness at the hands of an overzealous program or supporter. The supporter can also get into the danger of managing the client and their vision, which strips their sense of control from the client and also ruins motivation. So, support must focus on keeping the visionary informed, educated, and the principal party in all decisions. We must focus on supporting a person’s motivation by removing the real barriers they face and leaving the barriers that they have the ability to change themselves. By this process the short term success will not be shown in statistical outcomes, but in the direct effort the local visionary/ies put in, and this effort should well exceed that of the dominant culture supporters. In the example above, our gardener today proves to have as much or more motivation in his enterprise than when he started, even though his workforce failed him many times and his garden was lost to a bush fire on one ocassion. Still, his motivation is demonstrated by his increasing commitment to put in hours and effort every day to improving his garden. To support motivation for economic growth in Indigenous communities, we must do so through mechanisms that allow the entrepreneur to do the hard yards – to allow them to fail and get back up. Motivation can only be supported if the models for economic and enterprise development value the person and human process over the economic outcomes their enterprise might achieve. The result is not rapid economic growth and the sudden rescuing of these Aboriginal economies (a dangerous hope), but it is gradual, sustainable growthm with the potential for the exponential expansion of these economies in the long term as people’s hopes and hearts turn mistakes into learnings – and finally success. See the AHED project website for more information about the model we are using to provide this support without encouraging dependency. The underlying question for me is what types of enterprises are viable? Market forces operate much the same everywhere. If the primary aim is to take people from a state of dependency to a state of understanding what is a viable enterprise in their community then well and good. But not everyone will want to farm and other good ands serves may require from training and education. Yes, education and training are key, and they are required for almost all our clients, both to refine their business model and to improve the skill base of their workers. Viability is also essential, and non-viable business is not a business at all. But a common mistake that I think is made is that the assessment of viability of someones idea is important in identifying successful entrepreneurs amongst Indigenous communities. Over and over the Government sponsors economic development services that come into the community and go around identifying all the “viable” businesses opportunities and then tries to train people into these businesses. This process has always failed. The best business people are passionate ones, because that is what gives you the drive to struggle through failures and try again. True viability is tested in action untill it is tried we are only guesstimating if it will work. We help our Aboriginal clients assess the viability of their ideas, as part of the process of them initiating their business, but we never turn people away because their idea is in our view “non-viable”. I have found that most of our clients regardless of their formal education, have a very good sense of what a viable business looks like. As you say market forces are much the same anywhere, and most people who are seeking economic opportunity easily identify demand or supply opportunities that inspire them. And most ideas become viable with a little tweaking and experimentation. This is the same issue I see in Northern Canada, people and community members with passion, then snuffed out with zero support. You concepts will be watched and forwarded to Teachers in Northern Canada. If only I could convince my co-workwers and other department personell to take hold of this philosophy. I will continue to refer them onto your site hoping that some will make the effort and accept my recommendation.